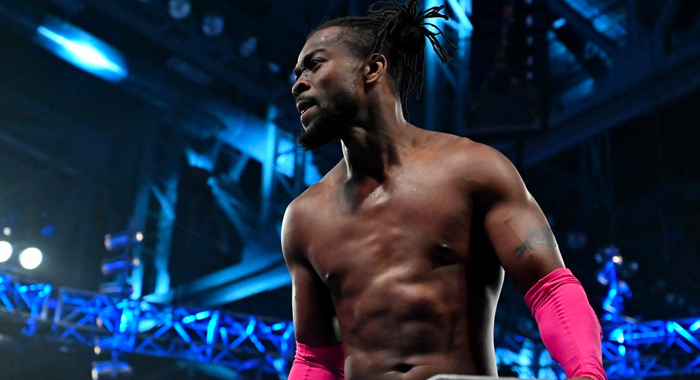 Tonight’s WWE SmackDown Live will see the Road To WrestleMania 35 continue as Kofi Kingston runs the gauntlet to try and earn a WWE Championship match. New Day member, Kofi Kingston must defeat The Bar, Randy Orton, Samoa Joe, and Rowan as he runs the gauntlet in order to earn his WWE Championship shot at WrestleMania 35. No other matches have been announced for the show, but The Miz is set to return for the first time since WWE Fastlane as he responds to Shane McMahon. As well as that the Women’s Tag Team Champions, Sasha Banks and Bayley will make their first appearance on the blue brand since they became champions, responding to The IIconics. Last week, Kofi Kingston asked Mr. McMahon exactly what he needed to do to get a WWE Championship Match at WrestleMania. The WWE Chairman spelled it out for him: He must defeat Randy Orton, Samoa Joe, The Bar and Rowan in a Gauntlet Match. Can The Dreadlocked Dynamo overcome these immense odds and punch his ticket to WrestleMania? Find out when the Gauntlet Match kicks off SmackDown LIVE, tonight at 8/7 C on USA Network!